The manual demonstrates correct methods for processing travel reservations, identifying business client needs and suitable documentation. It also shows key facts for the profitable planning, organization and operation of the retail travel agency. Each chapter contains exercises pertinent to the topics covered. 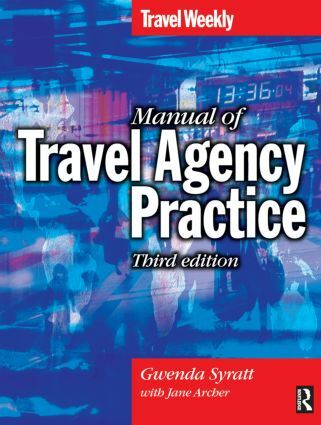 Students on any of the large number of courses in travel and tourism (ICM, City & Guilds, ABTA, IATA, UFTAA, BTEC, SCOTVEC, University of Oxford Certificate, Diploma of Vocational Education) will find this book invaluable.